Gary, Ruth and their friends bring you ancient tales, stories, legends and mythology of Ireland, Scotland, Wales, Cornwall, Brittany and the Isle of Man. Stories full of the bravery of heroes and heroines, the magnificent pantheon of gods and goddesses and the magic and wonder of druids, faeries and folklore. 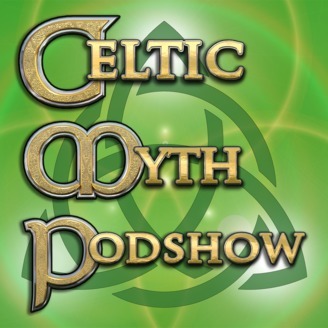 You'll also find some 'Special' Shows with music, modern stories, some great information and lots more from the modern Celtic community weaved in with the main story Shows. This is our biggest show ever! A real MONSTER of a show with an excerpt from the fascinating book, British Witch Legends of Sussex which you can get hold of from the publisher Country Books, a great story by Rudyard Kipling all about that tricky Fey, Puck and six pieces of great Fairy-inspired music. It's all topped off by two poems - including one poem read by our 9-year old Grand-daughter, Amielia! We bring you up-to-date with the progress of the website updates and let you know that the Scripting for Branwen, Daughter of Llŷr, is nearing completion. We also let you know that all of our shows are now hosted on the much more secure and speedier Libsyn servers, and the Shownotes pages can also be found there. Pica Pica is a song stitched together from Magpie rhymes. Fishe or Fowle is Kate and Corwen's new duo CD. It is a double CD with 25 tracks. Available now, as a physical CD from their website or to download from Bandcamp. They are musicians, instrument makers and workshop leaders who perform folk music and drama, recreate Ancient music and instruments, make crafts, run workshops for schools and demonstrate at museums and other events. You can find out more about these talented folks on their website or on our Contributor Page. This beautiful Medley is made up by Mike's version of Trip to Skye, that he has sped up to a Mazurka rhythm and a beautiful rendition of Dance to your Daddy. He has written his own extra verse to this traditional English folk song. Mike's new solo album, Barking, was released in May 2016, an eclectic collection of traditional and modern songs, ranging from totally silly to tragic, romantic and singalong. For more details about Mike, and his work with Blanche Rowen, see their website or our Contributor Page. The book includes over sixty Sussex witch legends, mostly in their original texts, and they are compared with witch legends from the rest of the country - so the book is essentially a comparative study of witch legends, albeit with a very strong Sussex emphasis. Other subjects covered are: Sussex fairy and Devil legends, and dragons, Roman roads, the origins and dissemination of witch legends, and so forth. You can see an interactive map of this area on Google Maps or download the KML file for Google Maps/Earth. You can find out more about Shaun and where to get hold of his book on our Contributor Page on with his Publisher, Country Books. Multi-award winning group Spiral Dance, based in Adelaide, has been playing rousing, high-energy music to enthusiastic audiences throughout Australia and beyond for over a decade. With a combination of haunting vocals, evocative fiddle, intoxicating guitar riffs and groovy accordion lines, underpinned with potent bass and dynamic percussion, the band presents an eclectic blend of traditional folk-rock with powerful self-penned songs and tunes. Enchanting melodies intertwine with mythical tales that are sure to captivate your soul, tease your mind and steal your heart, casting your spirit into the realms of magic and the mists of ancient time. We are privileged to bring you the evocative track, Faerie Tale from their album Magick, for our Sussex Celts Show, and you can find the lyrics on their site. You can find out more about Spiral Dance on their website or on our Contributor Page. 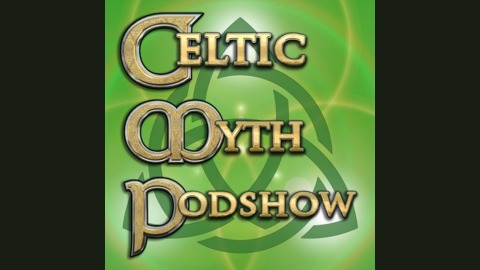 Kellianna is an American Neo-Celtic singer and songwriter internationally renowned for her powerful performance of song and chant inspired by myth, magic, sacred places and ancient times. Jenna Greene, "The Greene Lady", is a weaver of musical myth and magic. With a voice that is both ethereal and soulful, she sings of ancient lore, finding wonder and following dreams. Scarborough Faire is just one of the heart-lifting traditional folk songs on the wonderful collaborative album, Traditions, by Kellianna. You can find out more about the Kellianna on her Contributor Page or more about Jenna Greene on her Contributor Page. We talk about the origins of the original Scarborough Fair and the significance of the Parsley, Sage, Rosemary, and Thyme herbs. Rudyard Kipling was an English journalist, short-story writer, poet, and novelist. Kipling's works of fiction include The Jungle Book (1894), Kim (1901), Puck of Pook's Hill (1906) and many short stories, including "The Man Who Would Be King" (1888). His poems include "Mandalay" (1890), "Gunga Din" (1890), "The Gods of the Copybook Headings" (1919), "The White Man's Burden" (1899), and "If—" (1910). He is regarded as a major innovator in the art of the short story; his children's books are classics of children's literature, and one critic described his work as exhibiting "a versatile and luminous narrative gift". Rewards and Fairies is a historical fantasy book by Rudyard Kipling published in 1910. The book consists of a series of short stories set in historical times with a linking contemporary narrative. Dan and Una are two children, living in the Weald of Sussex in the area of Kipling's own home Bateman's. They have encountered Puck and he magically conjures up real and fictional individuals from Sussex's past to tell the children some aspect of its history and prehistory, though the episodes are not always historically accurate. Another recurring character is Old Hobden who represents the continuity of the inhabitants of the land. His ancestors sometimes appear in the stories and seem very much like him. The full text of Rewards & Fairies can be found on Project Gutenberg. For more details about Rudyard Kipling visit the Wiki Page or Kipling Societ's website. We discuss how Shakespeare may have heard the folklore of Puck on his travels with the Elizabethan court. The local Sussex word for Fairies, Pharisees, comes from the double plural found in the dialect - 'fairies-ies' or 'pharisees'. You can find his music on iTunes, or from his website, Pagan Music. He is also the voice behind Druidcast, the official podcast of the Order of Bards, Ovates and Druids (OBOD, for short) - modern day Druids. You can find Druidcast here and find out more about OBOD here. You can find out more details about Damh on his Contributor page on our website. "Cold Iron" is a poem written by Rudyard Kipling published as the introduction to Rewards and Fairies in 1910. In 1983, Leslie Fish set the poem to music and recorded it as the title track on her fifth cassette-tape album. Song of the Travelling Fairies is a Manx lullaby collected in 1930 by Mona Douglas from Caesar Cashin who said that after each verse there used to be a little dance imitating the movements of the particular bird named. It comes from Fishe or Fowle - Kate and Corwen's new duo CD. It is a double CD with 25 tracks. Available now, as a physical CD from their website or to download from Bandcamp. We play some Audio feedback from Natasha in Portsmouth who recommends the lovely music of Lisa Thiel. Rose Fyleman (1877–1957) was an English writer and poet, noted for her works on the fairy folk, for children. Her poem There are fairies at the bottom of our garden was set to music by English composer Liza Lehmann. This classic, famous and iconic poem first appeared in her book, Fairies and Chimneys, in 1917. It is read here by our 9-year-old grand-daughter, Amielia who makes her reading debut on our Show! BertycoX, for Rain in a Desert from Film'O Graf. See the Contributor Page for details. Armolithae, for Endless Blue from Artanis and Journey from Beneath the Iron Star. See the Contributor Page for details. Kenjiakira, For all the children of the earth from Azur Requiem. See the Contributor Page for details. Julien Boulier, for Dogen Poignance from Erable and Remanence Prisme from the album Remanence. See the Contributor Page for more details. Pascal SER'JACOBS, for Realité virtuelle from the album Confusion. See the Contributor Page for more details. Keltoria, for The Gathering Storm from the album Lia Fail (Stone of Destiny) and Hollow Hills from Beyond the Wildwood. See the Contributor Page for more details. XCyril, for Max s'introduit chez Zeger et commence a fouiller from the album Alter Ego. See the Contributor Page for more details. Esgi, for Dawn of Mind, from the album Echoes in Time. See the Contributor Page for more details. Victor Stellar, for Kaleidoscope. See the Contributor Page for more details. VS, for Libera from Libera. See the Contributor Page for more details. Flavio Simone, Absence infini from Orchestrale. See his Contributor Page for more details. Adragante, for Harmonies from Harmonie Cosmique. See the Contributor Page for more details. Diane Arkenstone The Secret Garden. See the Contributor Page for details. Kim Robertson, Angels in Disguise. See the Contributor Page for more details. Jigger, Time Ticks Away. See the Contributor Page for more details. And, of course, the Awen - inspiration and imagination! Phil Thornton Extra Special Thanks go for permission to use any of his astounding ambient music to the Sonic Sorcerer himself, Phil Thornton. You can find out more about Phil on his website or on his Contributor Page. SaveWe finish off by wishing you 'Hwyl Fawr', which is Welsh for 'Goodbye and have fun'!